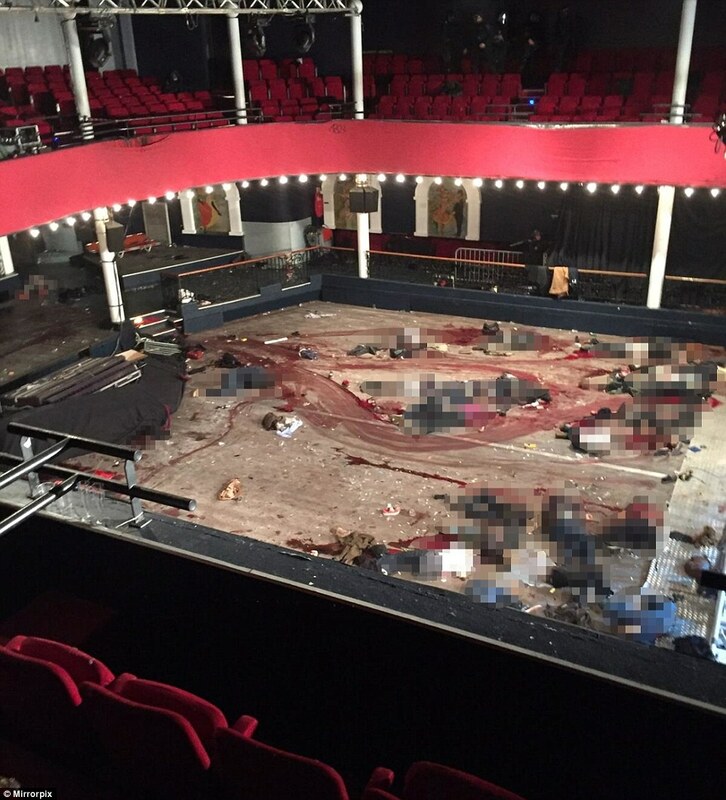 Internal Bataclan Photo disseminated from Jerusalem! Yet another indication that Paris Friday 13th attacks were a joint Mossad/? Operation. French Journalist whose research revealsthe fact is arrested confirming French complicity. Why do we NEVER read about the Russian/Jewish Mafia centred on the US and Israel in the mass media?